ESET Secure Authentication helps you secure your data - in a hassle-free way. By complementing your normal authentication with a second factor, it effectively reduces the risk of data breaches caused by weak or leaked passwords. 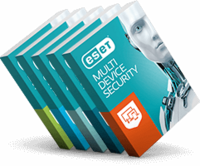 We chose ESET to supply our two-factor authentication service based on previous good service for our antivirus needs, and because the product offered, ESET Secure Authentication. ticked all our boxes. It is a relief to know that our business data is always secure. Single server install, ease of setup, integration with active directory and one of the major pluses, an application we could give our staff members so there was no need for constant SMS’s. On top of this the fact it works seamlessly with open VPN made us very happy as we didn’t have to change our VPN setup to accommodate the software.